1. My iPod Classic is broken. Kaput. All I wanted to do was put the latest Donald Fagen on it. But My MacBook Pro updated iTunes on the down low last week. And after several cycles of reformatting and shocking claims of “corruption,” it now insists, with an almost audible sigh, that the poor device “cannot be read or written to.” Let us mourn. I know it was a few years old, recently retired from the stable, its click wheel redolent of a time when a free U2 album meant more than fearing you had accidentally picked up your parents’ phone. * But I appreciated its single use utility, its massive memory – and above all, not needing a new one for my treadmill exertions. No matter. Planned obsolescence is the Apple-est thing in the world, and I am now on its pointy end. 2. My two month-old son sees angels – in the wallpaper, hovering in the air behind me. Maybe his grandmas, what we like to think, making themselves known to him for a few more weeks. Maybe someone or something else, impossibly new, unimaginable. Some will doubt. But his eyes have just learned to focus, and its the most human thing in the world to notice and look at something, so intently that I follow his gaze every time over my shoulder, up to the ceiling. He is completely absorbed when it happens, silent, locked in. Nothing there that I can see. Then again, I am looking though such smarter and surer eyes. Seeing more can make you see less. This should be a minor truth for someone like me, if it is true at all. It’s really more like blasphemy than insight, to an educator: we are in the business of piling up things to see, making curriculum that tries to show you the right things first so you can better understand and file away what follows. As from the alphabet comes Shakespeare’s plays, from the integers come Euler’s Law. Seeing a lot is the whole point: helping the student fill a well-stocked lumber room from which to build and extrapolate and conjure from here on out. Seeing more is better, and I am here to show it to you. You’re welcome. But it seems pretty majorly true to me right now – the more-is-less thing. I am beginning to wonder at the capacity of our first thoughts to form our reactions to everything that comes after, or even blind us to seeing anything else. This phenomenon has psychological applications: the homes we come from bend us for good or ill, of course, and as we get older we all become more amazed at how the “juice we were cooked in” leaves its aftertaste, whatever else we choose to eat. Our experiences can’t be unexperienced, and some of the most useful approaches to helping trauma survivors heal come from understanding how we hold on to the primal defensive reactions that trauma creates deep in our subconscious nervous systems, priming us to flee or fight decades after the threat has passed. But maybe another reason we cling so hard to our first thoughts is that they give us something to say back to whatever thoughts might follow. Even if what we say creates more heat than light, it’s better than being quiet. Here I’m thinking about how hard my own ideological and political inclinations were set early in life, by college for sure. And I am despairing some at how a local school controversy last year about whether or not a book was appropriate for the 10th grade curriculum settled so quickly into a for/against, good guys/bad guys shouting match, where everyone involved was mostly interested in reiterating their own points long after no one not already converted had stopped listening. As a community, we showed ourselves unable to have a new thought, or even brook someone else’s – our hard drives were already overwritten. The result: school board elections last week where everyone put the candidate most completely of their own stripe in office, presumably to be sure their corner was well-defended next time something comes up. We are as polarized as ever up here on the mountain, spending Sunday mornings (and most other mornings too) surrounded by people who affirm how right we are, and wondering at what crazy stuff they must be saying down the hill and down the way and everywhere else at that same hour, every week. My computer said my iPod was corrupted. That was the word – biblical, moth and rust inevitably befalling those who treasure up the wrong stuff. But how could it be? 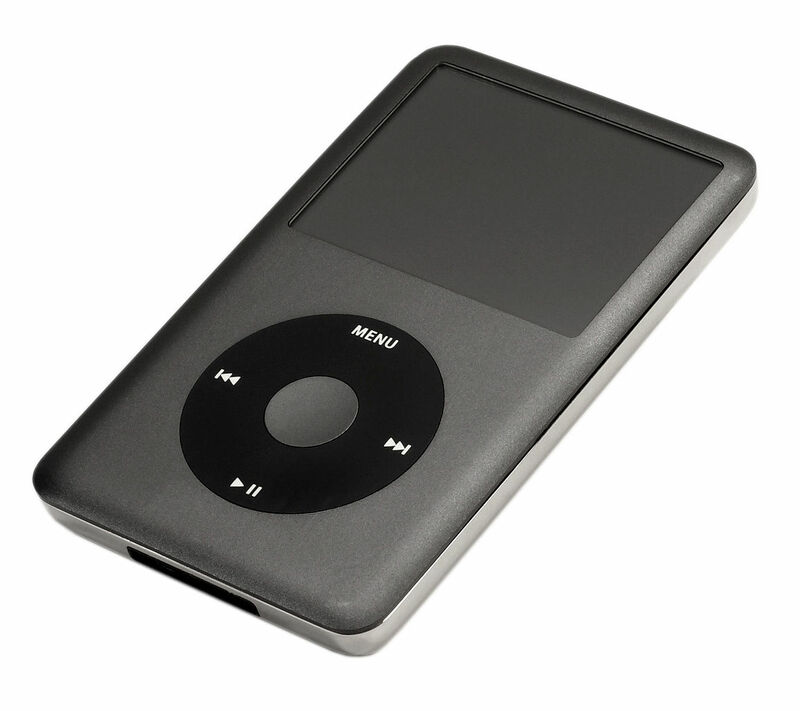 If there’s a closed system in computing, it was my iPod Classic. No online bugs or unorthodox software could have crept in: the thing needed a wire to update, for crying out loud, connected to a USB port (laugh politely into your hand). Far as I can grok, the thing got zonked out by that very closedness: copying my same file library over and over again to successive computers and drives, making pictures of itself that got blurrier and blurrier with every print. I started with a thesis: did it show up, eventually? Perhaps best that the iPod has died, choked on its own intentions to only listen to itself again. Maybe time for a new device, or at least some new tunes. Maybe time for all of us to watch for angels in the architecture, to look less to recognize what we already know, and more to see. Donald Fagen got me into this; I’ll let him take me out with his typically hermetic take on saving the wrong things, getting blinded by what we store up. Have you seen the memorabilia? In the back of Louis Dakine’s back room. *Jimmy Fallon’s joke, not mine.